This is one of my favorite vintage blouses, it is intricate and delicate. The roses and pattern are absolutely beautiful, I especially love how the outline of the roses resemble a simple line drawing. Florals are done over and over, but this outlined floral pattern is surely unique! 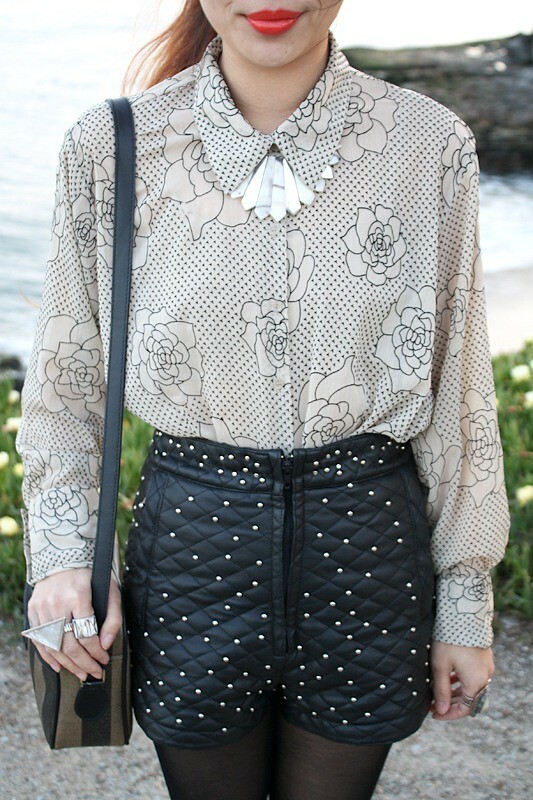 I paired the blouse with these super rad quilted AND studded leather shorts. They are super high waisted and they are just simply awesome! These pieces are ones to be cherished because I am a sucker for details! 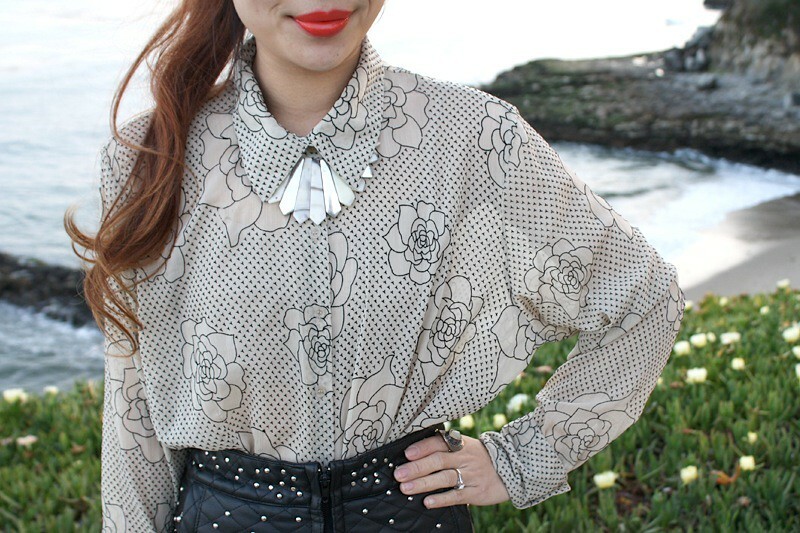 Thrifted vintage rose patterned blouse by Claudia Richard. 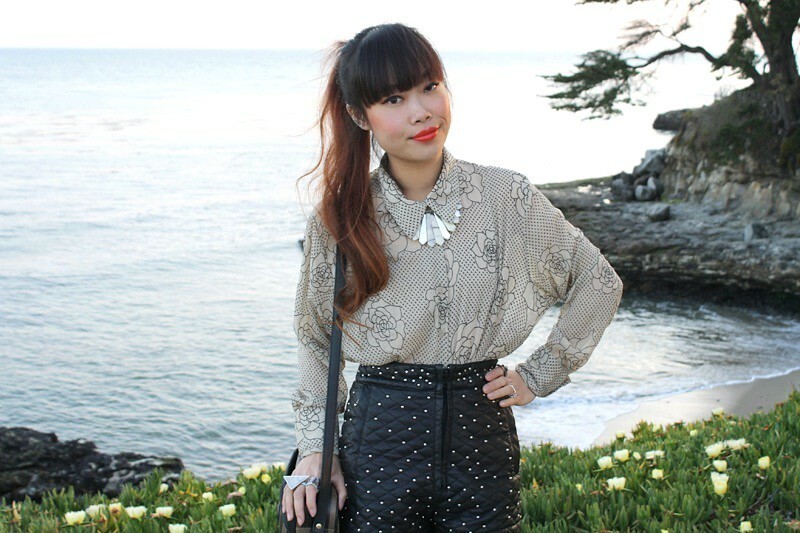 Vintage quilted and studded leather shorts by Griffine from Gold Bunny Vintage. Leather and pony hair harness boots from Hong Kong. 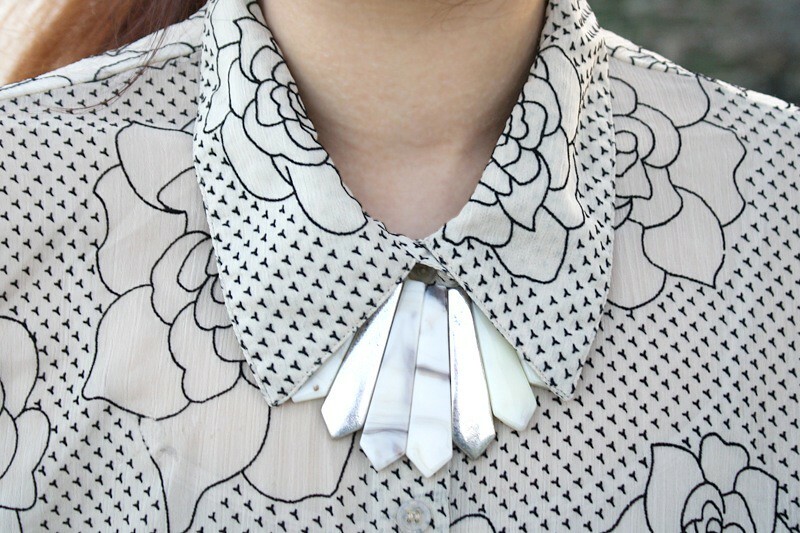 Lovely blouse. So cool how you paired such a feminine piece with those rocking quilted shorts. Love everything about this look! you have a stunning wardrobe. i love the shoes! Those shorts are the best.